Disney Consumer Products and the LEGO Group recently announced a multi-year licensing agreement that gives the LEGO access to an extensive portfolio of renowned Disney and Disney Pixar properties. 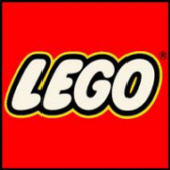 LEGO and LEGO Duplo products are currently in development for three franchises — Disney Pixar’s Toy Story and Cars, and Prince of Persia. The products will launch in 2010. Toy Story-themed construction sets will be available on both LEGO Duplo and LEGO System platforms, building the adventure and fun for children ages 2-12. LEGO System products based on Toy Story and Toy Story 2 will launch in January 2010, to be followed in May by construction sets based on the new animated feature, Toy Story 3, scheduled to hit theaters in Disney Digital 3D June 2010. Toy Story-themed LEGO Duplo products launch in June 2010. The Cars-themed LEGO Duplo line will feature iconic scenes from Radiator Springs and the Piston Cup Championship raceway and will feature favorite Cars characters like McQueen, Mater and Sally. Cars-themed LEGO Duplo products are scheduled to launch in June 2010. A line of LEGO System construction toys based on the film “Prince of Persia: Sands of Time,” which is scheduled to release in May 2010 is also in development. The film, based on the best-selling video game franchise of the same name, tells the story of Prince Dastan’s struggle to stop an evil ruler from unleashing a sandstorm that could destroy the world. Prince of Persia-themed LEGO products are scheduled to launch in April 2010. Jorgen Vig Knudstorp, CEO LEGO Group, had the following to say.